W1343SN3 - AUSTRIAN CRYSTAL "GRANDMA"
Lead, Nickel & Cadmium Free! 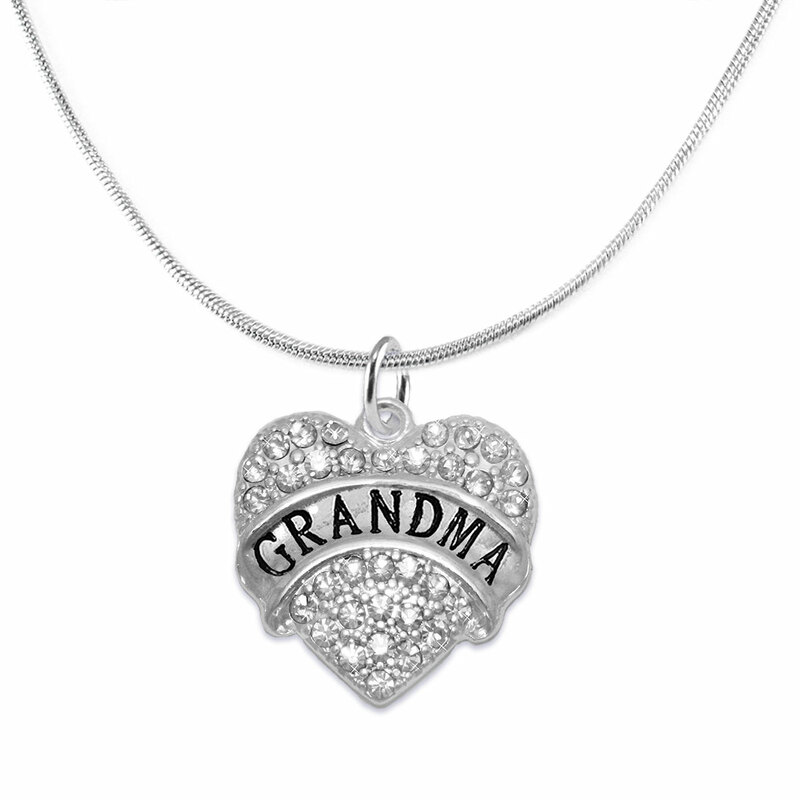 Necklace Suspends A Silver Tone Genuine Austrian Clear Crystal Covered "GRANDMA" Heart Charm! 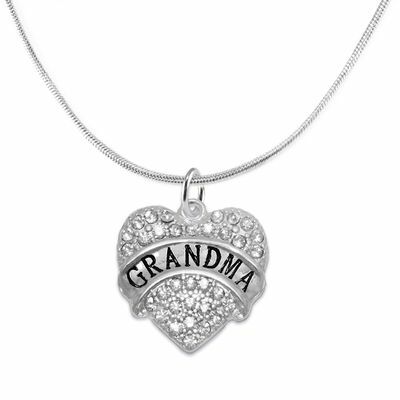 It Comes On A Snake Chain Necklace.